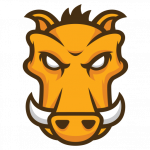 Recently, we have moved our whole deployment script from raw bash scripts to Grunt.js. We needed a bulletproof solution that lets us focus on product development, not its maintenance. Within a few days of work, the results were really fascinating. Turn many CSS (or SASS/LESS) files into a single .css stylesheet. Compress your JS/CSS code to reduce file sizes. Append MD5 fingerprint to file names to take advantage of heavy browser caching. Create image sprites to limit the number of HTTP requests. Send the files to the server(s). echo "File size lower than 50 chars. Aborting." echo "File does not end with \"/*OK*/\" comment. Aborting." sed "s/$2/$3/g" $1 > "$1.tmp"
echo "** Adding timestamp to file..."
…that’s when you’re starting to realize that there must be a more humane solution. Grunt’s popularity speaks for itself. Not even a year has passed since its creation and Grunt can now perform more than 1200 (!) different tasks such as minification, code validation, files concatenation, sprites generation and more. 4 new plugins for Grunt.js are published every day. Now, that’s a good pace of growth. LiveChat has two big projects that need to be deployed on a daily basis: a chat widget (product used by website visitors) and the web application (used by agents talking with these visitors). copy — copies some files from one place to another. less — compiles LESS files to CSS. cssmin — minifies CSS files. concat — concatenates multiple source files into a single one. replace — replaces inline patterns with variables. I believe most advanced projects involve some kind of regexp replacement, and it’s a great tool to do this. glue — helps us build image sprites using a great Glue library. uglify — minifies files before we deploy them to our customers. shell — helps us run an SCP command which sends the final version of the chat widget code to our servers. watch — re-compiles the chat widget source whenever we save a new version of the source file in a text editor. Immensely useful during local development. What if a chat widget version is ready to be deployed to all customers? But there’s one more thing. The learning curve for other team members became significantly shorter, compared to our previous solutions. If a web developer worked with Grunt before, he can start working on the project immediately by simply typing in the grunt command. handlebars — a Grunt task for working with Handlebars templates. snockets — lets us forget about including necessary files in the given order. Priceless for projects with 50+ source files. filepath = "app" + calculateMD5String("app.js") + ".js"
# filepath is now "app-f78b7292153b991a52b65c1115451118.js"